This route connects with NM 78 after climbing steeply through the south end of the White Mountains. 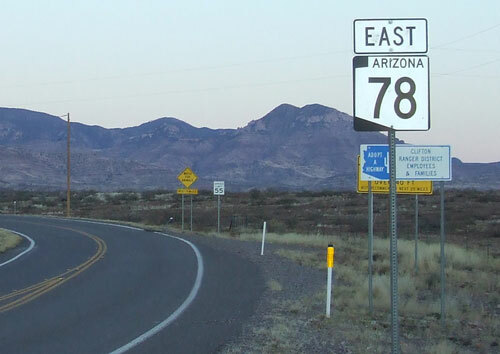 This marker and an end mark opposite it are the only AZ 78 markers on the route. There are no other reassurance markers along the way or at the New Mexico border.